Max Eastley is an artist whose work combines kinetic sound sculpture and music to produce a unique art form. Since the late 1960s, Eastley has been fascinated by the relationship of chance to music and art, and in environmental forces such as wind and water. He began to investigate this relationship in his work, using kinetic sound machines and the natural forces of the wind, streams and the sea. As a consequence, his career opened out into new areas of creative and philosophical exploration. Eastley is an important and innovative figure in the field of sound art. He often works in collaboration with other artists from a range of disciplines. He has exhibited his sound installations internationally, and worked closely with a wide range of artists, musicians and filmmakers, including Brian Eno, Peter Greenaway, Evan Parker, Thomas Köner, Eddie Prévost and Spaceheads. Exhibitions of his installations in 2000 included Sonic Boom at the Hayward Gallery and Sound as Media in Toyko. In 2002 he composed the music for Plants and Ghosts by Siobhan Davies Dance. He has worked with musician and writer David Toop to produce the critically acclaimed albums Buried Dreams 1994 and Doll Creature 2004. The latest album with Spaceheads: A Very Long Way From Anywhere Else was released in 2007. 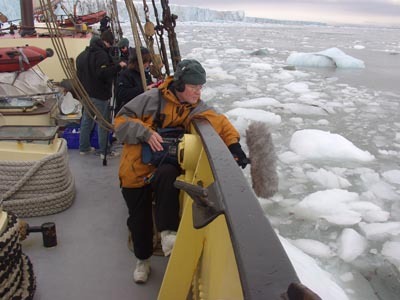 He is also involved with Cape Farewell to bring attention to the effects of climate change on the Arctic and has exhibited installations at the Natural History Museum, London, and Kampnagel , Hamburg, where he also performed solo at the planetarium with sound recorded on Spitzbergen. The title of the track comes from a story “White Bone Mountain” found in translation in the book Ancient tales and folklore of Japan, by Richard Gordon Smith It tells the story of a Buddhist priest Joan, who became obsessed with a young woman who died. He became enraged and drove the other monks from the Temple .Everyone in the region was terrified until a monk Ungai conquered his fear and found the monk and gave him the unidentified Sutra: The Moon On the Lake Shines On The Winds Between the Pine Trees, And A Long Night Grows Quiet At Midnight. Some months later Ungai returned to the now silent temple and found Joan sitting in the same place, thin and almost transparent, still reciting the Sutra. Ungai touched him and Joan disappeared like a flake of snow.